There are many ways to help a person facing deportation, including but not limited to, finding the person a good attorney, advocating privately to an elected official or accompanying the person to immigration court or a check in. However, this guide is focused on lifting a case publicly in traditional and social media and placing pressure on immigration services with the help of congregations, the community, and elected officials. Although there is no guarantee, Faith in Action has learned that in lifting up a case in the public sphere, each letter of support from a legislator, each newspaper article, each call from a community member to ICE, and each action taken by those advocating can help stop a deportation. 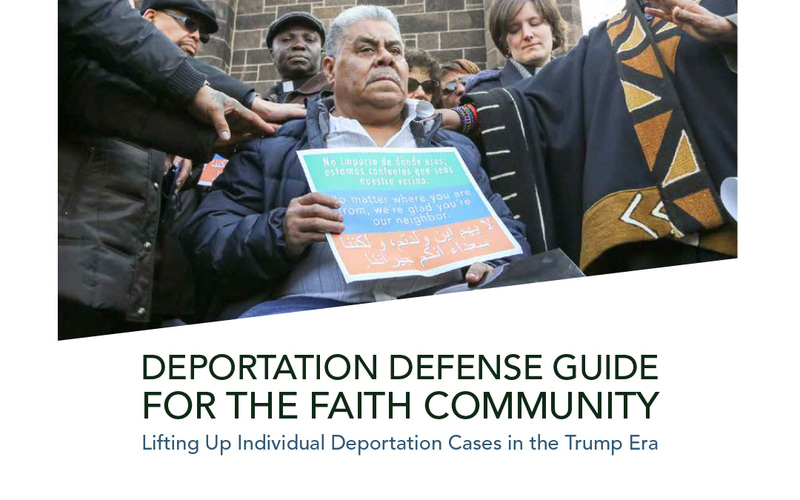 Download Faith in Action’s Deportation Guide here.